These sell for $24 on the bada bean web site and over $14 on Amazon with very good reviews. 100 calories, 7g of protein, 5g of fiber, and just 1g ofsugar per serving — Healthy snacking that doesn’t compromise on taste! Enlightened Bean Snacks are high in plant-based protein and fiber and low in calories and fat. They’re made from simple ingredients: just broad beans, sunflower oil, and seasoning. They’re also vegan, gluten-free, and Non-GMO project certified. Bada Bean snacks have a short and sweet ingredient list: broad beans, heart-healthy sunflower oil, rice flour, and spices and seasonings. And with nearly 4x the protein, 5x the fiber, and only ⅓ the fat of potato chips, they’ll actually keep you satisfied till dinner. Our snacks are vegan, kosher(3200/15213, Orthodox Union, 2018), non-GMO (24707, Food Chain ID, 05/2019), gluten-free, soy-free (SZH9738, SGS, 2018), and nut-free(SZH9738, SGS, 2018), but they’re certainly not flavor-free. We believe healthy snacking doesn’t have to be bland, so we go all in with seven bold flavors from Sweet Cinnamon to Spicy Wasabi. 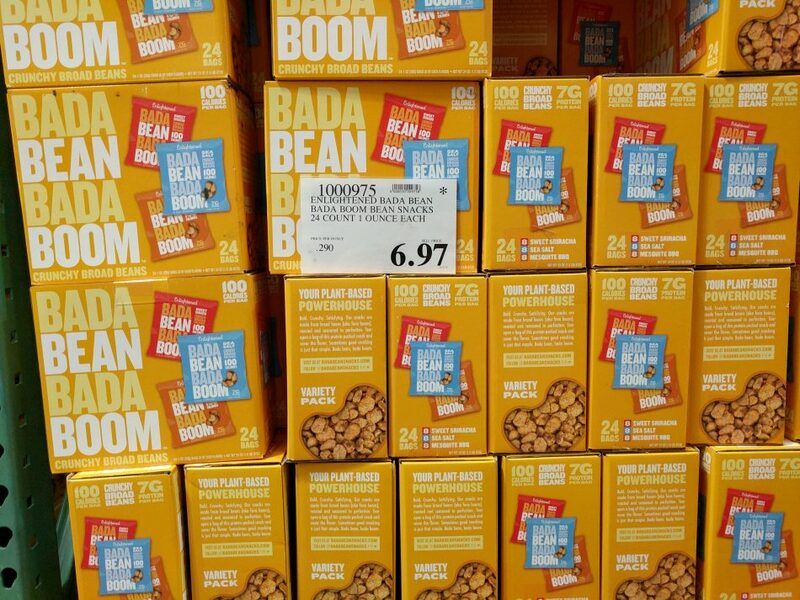 Bada Bean snacks are the perfect plant-based, protein-packed, on-the-go snack. Our variety packs provide a month’s worth of 100-calorie midday snacks for work or school. But there’s so much more you can do with them. Toss them on a salad or a soup for a gluten-free (and soggy-free) crouton, or mix our low-sugar sweet flavors into yogurt or oatmeal for a nut-free granola alternative.